Made with all-natural cotton and hemp material and colored with natural dyes, these durable dog toys are perfect chewing toys. Available in two sizes. Every toy is knotted by hand using all natural materials. 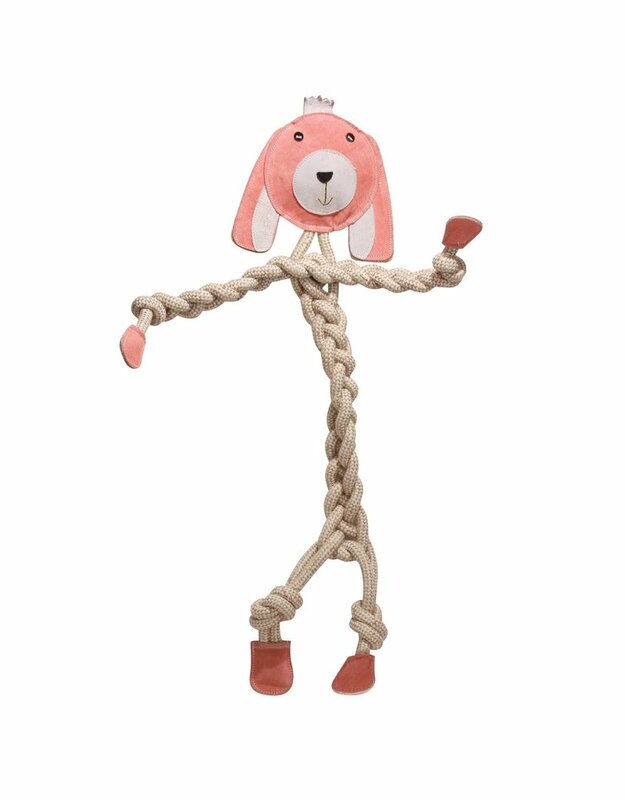 No squeakers means your dog will play with these rope toys in relative quiet!